OnePlus 5T Sandstone White Limited Edition announced. 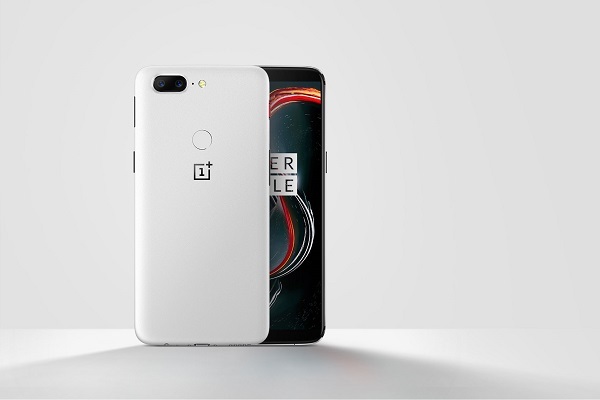 OnePlus has today launched an all new Sandstone White color version of the OnePlus 5T. The white model joins the Midnight Black color option that has been available since the 5T's initial launch in November of last year. The OnePlus 5T will be available in extremely limited quantities. The OnePlus 5T Sandstone White unites the iconic sensation of OnePlus Sandstone with a sleek all-aluminum shell. Slowly perfected using over 100 prototypes, this is the first time OnePlus managed to apply classic Sandstone feel to a metal chassis. It takes 4 layers to create a body with a comfortable grip and a natural, minimalistic appearance. This limited-edition device undergoes four increasingly complex processes before it's ready to hit the market, each of which was designed to ensure both a visually stunning sense of style and an incredible feel. OnePlus 5T Sandstone White Limited Edition is priced at $559. You'll be able to get your hands on the OnePlus 5T Sandstone White starting on January 9, at 10AM ET/ 10AM CET/ 10AM GMT.